Oral histories of political movements give us glimpses of the participants who helped shape the world we know today. They often provide raw, personal first-hand accounts of peoples’ struggles. These projects also help to maintain historical truths that are often tainted by government revisionism and lost to cultural amnesia. Tacit confidentiality agreements between historians and interviewees are naturally crucial to the birth of these histories. So what happens when the Department of Justice and the Police Service of Northern Ireland decide to violate the spirit of a treaty between the United States and the United Kingdom by subpoenaing a confidential collection of taped interviews detailing Northern Ireland’s militant past? The purity of historical record, as well as fundamental First Amendment issues like freedom of the press, and more specifically source confidentiality, are now under attack by none other than US prosecutor Carmen Ortiz – the same district attorney criticized for what many people called overzealous prosecution that likely led to activist Aaron Swartz committing suicide – and the DOJ, at the behest of Northern Ireland’s police forces. These parties apparently see fit to enflame a tenuous peace in Northern Ireland by tearing open historical wounds through their desire to prosecute former Irish Republican and Loyalist paramilitaries for unsolved crimes. Beginning three years after the 1998 Good Friday Agreement, heralded by some as the beginning of a new – and peaceful – chapter between the United Kingdom and Northern Ireland, journalists Ed Moloney and Anthony McIntyre began tape recording interviews with members of Irish paramilitaries and their Loyalist foes. Their objective was to contribute a better academic understanding of what motivated otherwise ordinary individuals to join the armed conflict, as well as document the turbulent and important history known as The Troubles. They concluded their interviews in 2006 and the Belfast Project is stored today in Boston College’s Burns Library. The lynchpin of the project was the confidentiality agreement McIntyre and Maloney forged with participants – from both sides of the conflict – some of whom divulged the names of militants. The stories were not to be released without their written consent or until their death. Fast forward to 2011, when the Department of Justice, by way of a Clinton-era initiative called the US-UK Mutual Legal Assistance Treaty (MLAT), attempted to force Boston College to release the tapes by recklessly (and improperly, as I’ll address below) subpoenaing these confidential interviews at the behest of the Police Service of Northern Ireland (PSNI). Authorities claim that Belfast Project interviews will assist in investigating the re-opened case of Jean McConville, who was kidnapped and murdered by the Provisional IRA in 1972. Current Sinn Fein leader and Irish president Gerry Adams, among others, have been implicated in the crime. Republican militants admitted their culpability some 20 years later. Some, like Anthony McIntyre – a writer, historian and former IRA member who was jailed for 18 years in Northern Ireland’s infamous Long Kesh prison and was released in 1996, believe the motivation for the subpoena is more complicated – and sinister – than a mere desire to solve a horrible crime that happened in 1972 however. “[The justice angle] does not have much traction, given that the PSNI was heavily involved in using law enforcement to break the law and immerse itself as a player in the conflict [during the Troubles],” he tells me through email. The checkered history of Northern Ireland’s security forces supports McIntyre’s suspicion that the subpoena is politically motivated. The former incarnation of the PSNI, from 1922 until 2001, was the Royal Ulster Constabulary (RUC). This law enforcement organization has a storied history of human rights transgressions, as detailed in a number of reports, including one issued in 1991 by Human Rights Watch, which cite a wide range of abuses against Irish nationalists and which also point out numerous instances of RUC collusion with Loyalist paramilitaries. Most notably, two members of a special anti-terrorist unit within the RUC known as the Special Patrol Group were convicted in 1980 of giving aid to Loyalist forces in the form of transportation, kidnappings, shootings and bombing attacks. Besides these two Special Patrol Group members, no RUC or PSNI officers have ever been charged with crimes. But it is what McIntyre calls the “retire and rehire” phenomenon taking place within the RUC-turned-PSNI that gives him the greatest doubt that Good Friday Agreement reforms have changed the police force’s apparent anti-nationalist leanings. A watchdog audit of the PSNI in 2011 found that almost 20% of the over 5,000 RUC officers laid off under reforms were rehired. The report describes the organization’s apparent reversion to its RUC roots as “out of control,” according to the Guardian, which ran the story in October 2011. The push to enter more Irish Catholics into the police force, a key reform from Good Friday, is clearly being rolled back. And the Boston College subpoena, in light of all this, may very well be a political fishing expedition designed, at least in part, on hunting down old enemies of the British state. Two plausible scenarios could emerge if the DOJ and PSNI are successful in accessing the Belfast Project interviews: Sinn Fein leader Gerry Adams will face prosecution for his alleged involvement in Jean McConville’s murder. Irish nationalist rage would likely spill out into the streets of Belfast. Clearly, either outcome could set off the tinderbox – and the two journalists who created the project have, since 2011, been consumed with preventing the potential unraveling of Northern Ireland’s peace process. They’ve also rushed to protect what they correctly perceive as an erosion of journalistic freedoms enshrined by the First Amendment here in the U.S. More on this latter point shortly. Anthony McIntyre and Ed Maloney began their protracted legal battle with prosecutor Ortiz after Boston College refused to appeal a lower court’s decision that the DOJ’s grab at the archives was legitimate. The two men found support from the ACLU of Massachusetts, the Reporters Committee for Freedom of the Press, and the Irish American Coalition, all of which added amicus briefs to the case. After two years of overturned appeals, McIntyre and Maloney finally kicked the case up to the Supreme Court – only to have the High Court refuse to hear it last week. With that final blow, every legal avenue is now exhausted. Kerry and Luger were not alone in their concern. One need only look at the DOJ’s dogged pursuit of activists, such as the late Aaron Swartz, to see how far the Justice Department will go to score wins in court. It is not a stretch to believe they could use subpoenas to violate journalist-source confidentiality in future cases. With over 100 similar bilateral assistance treaties between the U.S. and other countries in existence today, the threat this subpoena poses may have far-reaching – and unimaginable – consequences for international political movements, freedom of dissent and our own First Amendment. Alan Meban (MEBAN) interviews Matt Baggott, (BAGGOTT) the Chief Constable of the Police Service of Northern Ireland (PSNI) about the Boston College tapes. MEBAN: The (US) Supreme Court declined to hear the appeal over the rest of the oral history tapes from Boston College’s Belfast Project. So why do you want to hear those tapes? BAGGOTT: Well, it’s not because I want to hear them. It’s because a modern police service operates within the rule of law. And Article 2 is very clear – we have to pursue effective investigations into murders and unsolved murders. And when there is evidence that becomes available we have an absolute duty to take every investigative line to pursue where the evidence takes us. The decision making on whether there is evidential…you know…the possibility of a charge being brought – or whether there is a public interest in doing it – is not mine. And I think there is still a confusion, particularly because devolution is so new, about the role of the police. Our role is simply to gather fact, to investigate crime and then present that to the Public Prosecution Service (PPS). So whether it’s a Boston tape or whether it’s an historical murder – there is no amnesty in Northern Ireland – but there is the law. And the law is part of devolution of policing and justice and my job as the impartial Chief Constable is make sure we pursue that impartially. MEBAN: Wouldn’t it have been much more straightforward though to go and talk to people involved? Dolours Price was around and talking to nearly anybody? BAGGOTT: Well, no because see…you have to pursue tangible evidence. And if there are tapes in existence which contain evidence which may corroborate or may not – I don’t know what’s in them – it may corroborate – it may disprove – I mean, I mean following fact isn’t about provability sometimes it can be about disproving. It’s facts. You just follow the facts. MEBAN: But if you took a very unreliable kind of fact, reminiscences of people who have been involved in The Struggle telling war stories and saying what was going on, would it ever go to court? BAGGOTT: But that, ultimately you see, is for the Public Prosecution to decide. What we will do is look at that. We’ll look at the evidence. We’ll look at the fact. We’ll pursue that. Ultimately, whether a charge is sustained in court is a matter for the independent Public Prosecution Service. And that’s where the justice system works. It works with the police pursuing facts, investigating, the Public Prosecution Service making decisions and then the courts robustly testing that evidence through due process. And you know it’s not my job to say: Oh, we’re not gonna do that because it may be inconvenient or we won’t do that because hey-ho! what’s the point? My job is to make sure that we impartially deliver effective investigations. We [also] discussed recent developments in Northern Ireland. I welcomed her planned visit to Belfast the following day and thanked her for her swift condemnation of the murder of the Northern Ireland prison officer David Black in November. I expressed the Government’s appreciation for her unwavering support for the process of building peace and reconciliation in Northern Ireland. We agreed that while we have seen significant progress in recent years, we could not allow complacency to take hold. We did not specifically discuss the cases of Marian Price, Pat Finucane or the Boston papers. I reiterated that international support has played a key role in what has been achieved so far in Northern Ireland and emphasised that we greatly value the sustained and continuing US interest in both parts of the island. For her part, she reiterated her strong support for the peace process and said that she was very much looking forward to her visit to Belfast. Micheál Martin (Leader of the Opposition; Cork South Central, Fianna Fail): […] I am surprised the issue of the papers from the Boston College project was not raised. Those who conducted the interviews with those involved in violence in Northern Ireland over the past 30-odd years – I recommend the excellent documentary Voices from the Grave which documents the background to many of the atrocities and killings carried out – are fearful for their own lives because of the decision by the British authorities to seek the papers to help them in the pursuit of those involved in various cases, in particular the case of the murder of Jean McConville. This is a project that has shed light on many of the atrocities that occurred, but more is required. I am surprised the Taoiseach did not raise this issue and seek the American perspective on it. What is his own perspective on it and on the content of the Boston College papers and the degree to which that project can shed further light on many of the appalling things that happened over the past 30 years? Enda Kenny (Taoiseach, Department of An Taoiseach; Mayo, Fine Gael): […] Deputy Martin also referred to the Boston College papers. I hope to have an opportunity during my visit to the United States to cover a wide range of issues, including developments in Northern Ireland. We keep a watching brief on the Boston College research. The college has a long history of academic engagement in the field of Irish studies. It has played an important part in the recording of the history of Northern Ireland and the peace process. That will obviously be of value to historians, those who study conflict resolution and people in general. As Deputy Martin knows, the British Government on behalf of the PSNI initiated proceedings with the US Department of Justice under the mutual legal assistance treaty between the UK and the US to seek the release of archive records and interviews held in Boston College. The records, which were deposited in the Burns Library of Boston College, are part of the Belfast project, which is an oral history of republican and loyalist paramilitaries and paramilitary activities. Some of those whose testimonies are included in the project have since died, including Dolours Price, who passed away in recent months. This entire issue is subject to legal proceedings. Legal challenges were launched by Boston College and separately by the researchers to prevent the release of the material. In December 2011, the US District Court dismissed those challenges. Further legal efforts were made on appeal, but the US Federal Court of Appeal turned them down on 6 July 2012. The court ruling means, in effect, that the archive material must be handed over by Boston College to the US authorities to be sent on to their British counterparts. I understand the lead project researchers are considering a motion for rehearing of the case. They are continuing to keep their legal options open in the Belfast courts. I assure Deputy Martin that the Irish Embassy in Washington and the Department of Foreign Affairs will continue to monitor the matter closely. The Taoiseach: I propose to take Questions Nos. 1 to 17, inclusive, together. I met the US Secretary of State, Ms Hillary Clinton, on 6 December 2012 when she was in Dublin to attend the OSCE ministerial conference. It was a great pleasure for me to welcome the Secretary of State back to Dublin. I took the opportunity to thank her in person, on behalf of the Irish people, for her long-standing commitment to and friendship with this country. Since I met her in Dublin, Mrs. Clinton has stepped down from her role as Secretary of State. I have written to her on behalf of the Irish Government to formally thank her for her sustained and invaluable contribution to the process of building peace and reconciliation on the island of Ireland, convey the abiding regard that the Irish people hold for her and wish her well in whatever her future holds. When we met in December, we had very useful and wide-ranging discussions. I updated her on the measures being undertaken by the Government to lead Ireland’s economy to a sustainable recovery. As our meeting took place on the day after the budget, it was a good opportunity to discuss the Government’s emphasis on jobs and growth. I also discussed the importance of Ireland’s bilateral economic relationship with the US. I reiterated that stronger trade and investment ties are a major strategic goal of our transatlantic alliance. I highlighted the welcome conclusion of an agreement between Ireland and the US on the foreign account tax compliance Act, FATCA. The FATCA agreement is important in demonstrating Ireland’s commitment to tax co-operation and international exchange of tax information. Mrs. Clinton commented specifically on the recent progress that has been made under the US-Ireland research and development partnership. I agreed this was a worthwhile programme and expressed my support for its future development. We discussed the ongoing challenges facing the global economy and, in particular, the need for the EU to continue to work to resolve its economic and financial difficulties. I also briefed her on our plans and priorities for our Presidency of the Council of the European Union, including our hope to make real progress in advancing an EU-US free trade agreement. She expressed hope that significant progress would be made towards the free trade agreement during the Irish Presidency, as this would be a very important and positive development for the international economy. There has been significant progress in recent weeks on this agenda and we can now look forward to what I hope will be focused and successful negotiations on a comprehensive transatlantic trade and investment partnership. I look forward to Ireland’s playing a key role in instigating negotiations in the context of our Presidency. The Secretary of State and I discussed our countries’ respective election to the United Nations Human Rights Council. We reaffirmed our ongoing commitment to working together on a range of issues in the international arena, including global hunger, and further deepening and strengthening the US-Ireland relationship. We also discussed recent developments in Northern Ireland. I welcomed her planned visit to Belfast the following day and thanked her for her swift condemnation of the murder of the Northern Ireland prison officer David Black in November. I expressed the Government’s appreciation for her unwavering support for the process of building peace and reconciliation in Northern Ireland. We agreed that while we have seen significant progress in recent years, we could not allow complacency to take hold. We did not specifically discuss the cases of Marian Price, Pat Finucane or the Boston papers. I reiterated that international support has played a key role in what has been achieved so far in Northern Ireland and emphasised that we greatly value the sustained and continuing US interest in both parts of the island. For her part, she reiterated her strong support for the peace process and said that she was very much looking forward to her visit to Belfast. I also referred to the positive developments in the Ireland-UK relationship represented by the joint statement signed by myself and the UK Prime Minister, Mr. David Cameron, last March, and the very positive announcement by the Prime Minister that the G8 meeting in June would be held in County Fermanagh. At our bilateral meeting in London yesterday, the Prime Minister and I agreed that we would use our respective roles in the Presidency and the G8 chairmanship to press for the launch of negotiations on an EU-US free trade agreement this June. I commended the Secretary of State on her efforts to end the violence in Syria and the conflict in Gaza. I also expressed solidarity with the victims of Hurricane Sandy and referred to the letters of support I had sent to the US on behalf of the Irish people. I expect to meet families from some of the areas affected next week. Finally, I thanked her for her extraordinary contribution to the peoples of this island and extended my best wishes to her for the future, in whatever path she chooses. Later this week I will have the privilege of travelling to the United States for the annual St. Patrick’s Day visit. This year, my visit will run from Friday, 15 March to Friday, 22 March. Relations between Ireland and the United States are based on a deep and long-standing bond of friendship between our two countries, but they are also based on deeply-rooted economic, social and cultural ties. Strengthening these ties is a key priority for the Government and we will continue to work on ensuring that Ireland’s relations with the US remain vibrant. My upcoming visit to the US presents another opportunity to further strengthen these relations. My programme includes events in Washington DC, New York, Los Angeles, San Francisco, Silicon Valley and Seattle. While in Washington I will meet with President Obama in the White House and also attend the traditional Speaker’s lunch on Capitol Hill. My programme also includes a breakfast meeting with Vice President Biden as well as a number of meetings with political and business leaders and the Irish-American community. However, the Vice President may be in attendance in Rome if the conclave has elected a pope and the installation mass is on 19 March, the day scheduled for our proposed meeting. In New York I will meet with Mayor Bloomberg and visit the Rockaways area in Queens which was ravaged by Hurricane Sandy in October 2012. My west coast engagements will include a series of meetings with US companies as well as indigenous Irish companies operating in the US. My main focus throughout the trip will be to highlight the very significant progress made towards Ireland’s economic recovery and to emphasise Ireland’s strengths as a location for foreign direct investment and overseas visitors and to promote Irish companies as a source of high quality products and services. I will also use my visit to highlight the importance of an EU-US transatlantic trade and investment partnership and to advance our efforts to see formal negotiations launched during the Irish Presidency of the EU. I also anticipate that recent events in Northern Ireland will feature in my discussions. I hope to meet the First Minister and Deputy First Minister in Washington DC. Both Prime Minister Cameron and I agreed yesterday on the centrality of the values and principles of the Good Friday Agreement and the importance of the institutions that it created. We intend to continue working with the US Administration to consolidate and build on the progress that has been made in Northern Ireland over many years. Deputy Micheál Martin: Nine of the 17 questions in this grouping are in my name. An Ceann Comhairle: I am very conscious of that. Deputy Micheál Martin: We must reform how we are doing our work here because most of these questions relate to the visit of Secretary of State Clinton and were asked over three months ago. What are the Taoiseach’s plans to meet with Secretary of State Clinton while in the US? One of the reasons we are only getting to these questions is that the Taoiseach decided to halve the time for questions to the Taoiseach when he came into office. In the previous Dáil, these questions were taken on both Tuesday and Wednesday. An Ceann Comhairle: That is a matter that can be dealt with between the Whips. This is Question Time. Deputy Micheál Martin: With respect, it is a matter of Government diktat, not a matter for the Whips, because the Government dictates what happens in the House. It is a crazy situation that we are now only answering questions three months after they were asked. This is unsatisfactory. I echo what the Taoiseach said and pay tribute to Secretary of State Clinton for her wonderful work during the past four years as Secretary of State. She was significant in terms of the US role as a partner in the multilateral search for peace between states and her work, particularly for human rights and equality, will stand the test of time. I had the privilege of working with her in my capacity as Minister for Foreign Affairs. She was an unstinting friend of Ireland and continues to be so. On the question of the Israeli-Palestinian conflict, the situation now is probably at its worst level since the Oslo Accords. For millions of people the situation is fast becoming hopeless. In terms of raising this issue with Secretary of State Clinton, was the Taoiseach in a position to brief her on the European response to the issue? Israel acts with impunity in terms of continued settlements and ignores international agreements and the consensus at the United Nations. The US has a cental role to play in the region. Indeed, President Obama was publicly rebuffed in his first peace effort via George Mitchell. In the Taoiseach’s discussion with the Secretary of State, was there any sense of a potential breakthrough in the crisis or any sense of a breakthrough in terms of the policy with regard to the blockade or the issue of the acceleration of settlements whose purpose seem to be to deny and make unviable a two-state solution? I would appreciate hearing the Taoiseach’s view and perspective on that with regard to the talks he had with her. I am surprised the issue of the papers from the Boston College project was not raised. 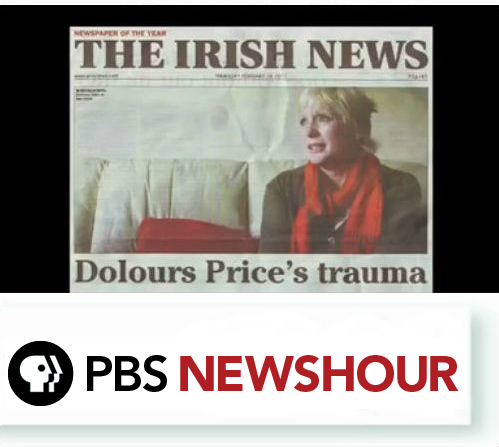 Those who conducted the interviews with those involved in violence in Northern Ireland over the past 30-odd years – I recommend the excellent documentary Voices from the Grave which documents the background to many of the atrocities and killings carried out – are fearful for their own lives because of the decision by the British authorities to seek the papers to help them in the pursuit of those involved in various cases, in particular the case of the murder of Jean McConville. This is a project that has shed light on many of the atrocities that occurred, but more is required. I am surprised the Taoiseach did not raise this issue and seek the American perspective on it. What is his own perspective on it and on the content of the Boston College papers and the degree to which that project can shed further light on many of the appalling things that happened over the past 30 years? Did the Taoiseach raise the issue of the Finucane case with Secretary of State Clinton and did he endeavour to enlist her support for a statutory inquiry into the Finucane murder? This is part of an international and solemn agreement between Ireland and Great Britain, but Britain is resiling from that agreement in an unacceptable way and in violation of the agreement. Did the Taoiseach enlist the support of the Secretary of State in bringing pressure to bear on the British Government to relent in this case and to fulfil the agreement it signed up to in good faith with the Irish Government? My final question relates to the Taoiseach’s forthcoming meetings with President Obama. The International Monetary Fund is undertaking some significant reforms, but America has held up those reforms despite the fact it initiated them originally. Congress is holding them up. We asked previously whether the Taoiseach could shed some light on the role that Secretary of the Treasury Geithner played in insisting at an IMF meeting that no bondholders would be burned, particularly with regard to the Irish context. We know the ECB position on that. It has been consistent from the beginning that no bondholder would be burned. However, it is alleged that the intervention of the Secretary of the Treasury, Timothy Geithner, was crucial in ensuring that position held. We have never got a satisfactory response on this. Will the Taoiseach commit to asking President Obama whether that was the case? The Taoiseach: With regard to the questions raised in the House, it is perfectly in order for any Deputy to ask on the Order of Business, arising from legislation, whether it is intended to meet a Secretary of State about immigration legislation into the States or wherever else. I am not responsible for the number of questions put down here. In previous times, many questions were lumped together. Everything to do with Europe, the United States and anywhere else around the world, up to 50 questions, could have been put together. However, I have tried, following representations made by Deputies to split the questions into groups. These questions are about the United States and about the Secretary of State and her visit here. If the questions are three months out of date, perhaps we should give a briefer response. However, if these questions have been asked, it is legitimate for us to respond to those put by each Deputy. As I said a couple of weeks ago, we need to look at further reforms of the way we go about our business in here and consider the amount of time we devote to legitimate questions from Deputies and issues they might want to raise, vociferously or otherwise. Deputy Richard Boyd Barrett: Who could the Taoiseach be talking about? The Taoiseach: The Tánaiste is monitoring the question of Gaza very closely. It is a welcome reprieve that with one exception, there has not been any rocket fire into Israel from Gaza in the past month. I suppose the calm that is there for the moment is an advance. Some of the measures enacted by Israel to relax aspects of the blockade after last November’s ceasefire are to be welcomed. They need to go much further and much faster, especially in light of the absence of any rocket fire. There may well be a rare opportunity to convert this pause into a durable cessation of violence in both directions. I think that would be of interest to everybody. I join the Tánaiste in encouraging both sides, and anybody else who can influence the situation, to work to this end. The people of Gaza and southern Israel, some of whom I have met, deserve to live in a normal situation. The Government has made it very clear that the blockade of Gaza, as currently enforced, has no justification and must be ended. While Israel is quite entitled to defend itself and to block the supply of military materials to Gaza, the measures enforced since 2006 have gone much further than anything that could be justified strictly on the basis of security need. We have consistently drawn the international attention of others to this matter. We have supported the EU in its repeated calls for the full opening of crossing points into Gaza to allow for the normal movement of goods and people. There have been some relaxations of the blockade in recent years, most notably in November following the ceasefire. Clearly, this needs to be accelerated. In the meantime, Ireland has maintained its provision of substantial humanitarian assistance to the people of Gaza through the UNRWA and other agencies. As I have said, the Tánaiste is keeping a close eye on this issue. 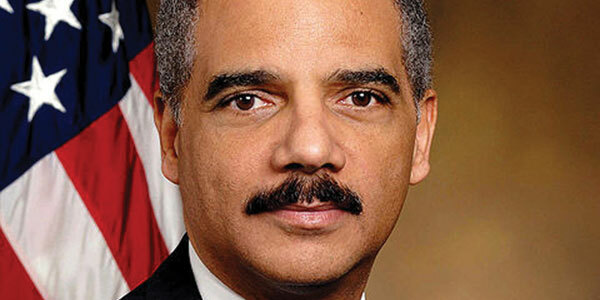 I do not have any further information on the allegation about former US Treasury Secretary, Timothy Geithner. I have not raised it with Christine Lagarde, whom I met last week. There are much more immediate challenges and obstacles to be dealt with. I do not know whether any further information about the allegation, which we have discussed in this House on a number of occasions, has become available. As the Deputy knows, a motion on the Pat Finucane case was unanimously agreed without dissent in this House. I have disagreed publicly with the British Prime Minister about the fact that both Governments committed at Weston Park to follow through on the recommendations made by Judge Cory. We stand by that. I will raise this with the US authorities when I meet them next week. Deputy Martin also referred to the Boston College papers. I hope to have an opportunity during my visit to the United States to cover a wide range of issues, including developments in Northern Ireland. We keep a watching brief on the Boston College research. The college has a long history of academic engagement in the field of Irish studies. It has played an important part in the recording of the history of Northern Ireland and the peace process. That will obviously be of value to historians, those who study conflict resolution and people in general. As Deputy Martin knows, the British Government on behalf of the PSNI initiated proceedings with the US Department of Justice under the mutual legal assistance treaty between the UK and the US to seek the release of archive records and interviews held in Boston College. The records, which were deposited in the Burns Library of Boston College, are part of the Belfast project, which is an oral history of republican and loyalist paramilitaries and paramilitary activities. Some of those whose testimonies are included in the project have since died, including Dolours Price, who passed away in recent months. Fran McNulty (FM) interviews journalist and former director of The Belfast Project Ed Moloney (EM) about the status of the archive presently under subpoena by the Police Service of Northern Ireland (PSNI) in the wake of the US Supreme Court decision not to hear his case. Host Gavin Jennings (GJ) provides interview framework. Gavin Jennings (GJ): This week the US Supreme Court rejected an appeal against a decision of a lower court to release archived interviews with the now deceased IRA member Dolours Price. Today this programme can reveal that much more information about the disappearance and murder of Belfast mother Jean McConville than initially thought is actually contained in the Boston College archive where the Price interview is stored as part of the so-called Belfast Project. Reporter Fran McNulty has more. Ed Moloney (EM): I have been able to share some of this with the American government. And I can tell you, Fran, when I tell them this particular set of details, the people that I’ve had conversations with, who I then hope will take this further up the chain in the American political system, have immediately understood just how dangerous the contents of these interviews can be. Fran McNulty (FM): That’s Ed Moloney, the man who oversaw The Belfast Project. This weekend he warns the institutions in The North could fall such would Unionist reaction be to what Dolours Price revealed in her archived interviews. EM: The consequences of this for the peace process, and I know there are lots of people in Ireland who are rubbing their hands in glee at the anticipation of the fall of Gerry Adams over all of this but with Gerry Adams will also fall the peace process and the power-sharing government. There’s a very distinct possibility of that happening. FM: Is that not an overstatement? EM: Not if you knew what was in the interviews and the impact that they will have and once they get out. And they will get out. They will get out I’d imagine reasonably quickly, they will be leaked, and once they get into the political stew in Northern Ireland there’s no removing them, they are stuck there and the consequences will be there. There’s material there about the story of one of these incidents that’s at the basis of the subpoenas. People think they know the full story. They don’t know the full story. FM: But heretofore we’ve been told that the full story was that Dolours Price didn’t tell interviewer Anthony McIntyre anything about the murder of Jean McConville. That is true. But now we do know that she did tell someone else. From his home in the United States Ed Moloney has cast new light on the subject. EM: What I have said all along is that in her interviews with Anthony McIntyre as part of the Boston archive she did not talk about Jean McConville. FM: So if we restrict our comments to that particular interview is what you’re saying that there are other people speaking about the disappearance of Jean McConville? EM: Or, the other possibility is that there are maybe other Dolours Price interviews that were not part of the project that happened to be deposited in the Boston archive. EM: Well, that’s something which people can speculate on now, can’t they? FM: Ed Moloney is holding back information as he’s entitled to. Gerry Adams (GA): Look, I’ve said it for years, for decades, I learned a long time ago not to worry about things you have no control over. FM: Dolours Price’s interview in the archive is causing concern in the United States. FM: The Chair of the Senate Foreign Relations Committee has written to the Secretary of State, John Kerry, on the issue. MV: The United Kingdom’s request for material could have the effect of re-opening fresh wounds and threatening the success of the Good Friday Accords. Sincerely, Robert Menendez. FM: Ed Moloney and Anthony McIntyre have been assisted greatly by Irish-America groups to lobby US politicians on this issue. Jack Dunn (JD): The Secretary of State of the United States is John Kerry. John Kerry is a graduate of Boston College’s School of Law. He knows our feelings on the matter. So we’ve worked through diplomatic channels including the State Department and other areas that I won’t get into specifics now. So it’s a two-pronged approach now. We are looking for a legal resolution to the case through the court of appeals and we are also looking for a resolution through various diplomatic channels. FM: Mr. Kerry himself when he was Chairman of the Senate Foreign Relations Committee wrote to the then Secretary of State Hillary Clinton on the issue and expressed concern about the impact of releasing (the) tapes. Would that give you any hope? JD: We certainly hope so. He understands how important this is. He was involved during the Clinton Administration in helping to broker the Good Friday Agreement. So he understands completely the importance of what’s at stake here. And our hope is that he will use his influence to get the Police Service of Northern Ireland to get law enforcement in Great Britain to work with the Department of Justice to re-evaluate the need for these tapes to go through. FM: The family of Jean McConville have insisted the tapes should be released. They want those responsible for their mother’s murder brought to justice. Anthony McIntyre interviewed numerous people who were involved in The Troubles for the ill-fated archive. He, too, can see The McConville’s point of view. Anthony McIntyre (AM): If I was in the position of the McConville Family I would probably be doing the same. And I think people would understand it that way. But there are wider issues at stake here, wider ethical issues. I mean, the same could be applied to the…an argument, for example, could be made that should we torture suspects to get the information that the McConville Family require? Well obviously no, we can’t. There’s certain things that cannot be violated. And I don’t think journalistic research, academic research should be violated by these types of demands. FM: With the US Supreme Court clearing the way for the release of the Price tapes many now want to know what the next step will be. We asked the Historical Enquiries Team in The North. Their response was brief. Female Voice (FV) reading PSNI statement: The PSNI are dealing with the issues you’ve asked about not the HET. FM: So if the Historical Enquiries Team aren’t interested in the interviews what will the PSNI’s next step be? Their response to that questions was, too, very brief. FV: We’re making plans to take possession of the material and proceed with our enquiries. FM: The Dolours Price interviews will be handed over unless there is high-level political intervention. And Ed Moloney isn’t hopeful. EM: I’m watching this situation from three thousand miles away and watching Dáil debates and what’s said in Dáil debates etc and I can see quite clearly that some of the leadership of the political parties in the Dáil are rubbing their hands in anticipation and glee at all of this stuff coming out to do down Gerry Adams. Well, I can understand that. They’re under political pressure, they’re under electoral pressure from Gerry Adams’ party. But so far the Irish government has had no contact with me at all. Not one single Irish diplomat has rung me up and said: Look, Ed, can we have lunch and would you mind, like, telling us why you’re saying this stuff? Not one has shown any interest at all. EM: Well, don’t you think if you were the Irish government and this thing is happening and that someone is saying these interviews could have this potentially devastating impact on the peace process that you invested so many years to create…you’d think you might have a little curiosity about what’s being said? GJ: Journalist Ed Moloney speaking to Fran McNulty from his home the United States. Well in response, the Department of Foreign Affairs here has told this programme that it would be inappropriate for the Irish government to interfere or get involved in a case which was before a court of law in a foreign country. 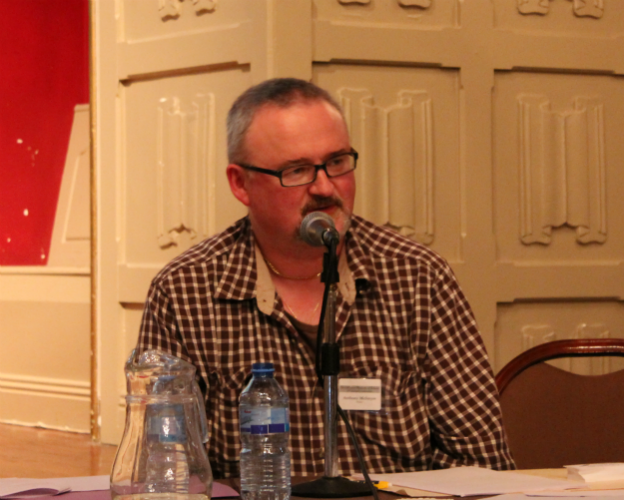 Host Helen Mann (HM) interviews Ed Moloney, (EM) journalist and former director of The Belfast Project, an oral history project archived at Boston College and presently under subpoena by the police in Northern Ireland. Host Jeff Douglas (JD) sets the stage for this interview. Jeff Douglas (JD): Northern Ireland’s police are one step closer to getting their wish. Boston College’s Belfast Project was designed as an oral history of The Troubles in Northern Ireland. That oral history includes interviews with former IRA paramilitaries, including IRA bomber Dolours Price, who died in January. For years Northern Ireland’s police have tried to get their hands on the transcripts of Ms Price’s interview. Last year they obtained a US Appeals Court ruling requiring The Belfast Project to hand over those documents. Researchers involved with the project have been resisting and they were hoping to appeal the court decision. However yesterday, the US Supreme Court said that it would not hear any appeal. Journalist Ed Moloney was the director of Boston College’s Belfast Project. We reached him in The Bronx, New York. Helen Mann (HM): Mr. Moloney, before we get into Monday’s decision could you just remind us who Dolours Price was? Ed Moloney (EM): Yes, Dolours Price was a very well-known member of the IRA from West Belfast who I suppose gained notoriety in 1973 when she led the first IRA bombing team to London where she and her colleagues in the IRA planted three quite large car bombs causing alot of damage and one person died of a heart attack as a result of that. She was caught and has come or came to prominence recently because of newspaper interviews that she gave revealing that she had been interviewed by Boston College and that in her interviews with Boston College she had talked about one of the most notorious killings of The Troubles in Northern Ireland: the disappearance of an alleged British Army informer and housewife called Jean McConville who was killed by the IRA and then her body was “disappeared”, buried in an unmarked grave where it lay for the best part of thirty years. And it’s the interviews that she gave plus other interviews related or allegedly related to the incident which are the subject of a PSNI (Police Service of Northern Ireland) subpoena which was served on Boston College and which myself and the researcher more or less by ourselves, along with alot of pro bono legal help, have been fighting. HM: Now you and Boston College have been trying to keep these interviews out of the hands of Northern Ireland police but you lost at the appeal court level and that’s how you ended up at the Supreme Court yesterday. EM: Correction: myself and the researcher have been fighting to keep the interviews out of the hands of the PSNI. Boston College conceded a long time ago the right of the PSNI to have these interviews. They’re only quarreling with the PSNI over the extent of the interviews. A legal argument which I compare to the condemned man arguing with the hangman about the length of the rope. No. We are the only ones who are actually resisting this. And you’re right, we took it all the way to the Supreme Court. The Supreme Court decided not to grant us permission to appear before them and argue our case which is essentially that we should have been allowed to have standing in this case. We were denied standing by the lower courts and that meant that we could not argue own own case but they’ve decided not to do so. And we are now left with the political fight which was the other track of our campaign. From the outset we decided that if we were going to have a chance of defeating this very stupid and foolish action by the police in Northern Ireland, very potentially destructive and destablising action by the police in Northern Ireland, we would have to fight it on two grounds: 1) legal, which we’ve done and I think we’ve probably have exhausted that and the other is political and we’re still fighting that. HM: Okay. And how is that working? What do you hope to achieve that way? EM: Well, what we have done in the past few weeks is that we have managed to persuade very senior figures in the United States government, in the United States political establishment, very convincingly from their point of view, that handing over these interviews could in fact have the potential to destabilise the power-sharing government in Belfast. The power-sharing government composed of Unionists who favour Northern Ireland remaining with Britain and Sinn Féin, who were the political wing of the IRA, who gave up their violence in order to go into this arrangement. There’s been a power-sharing government there since 2005-2006. We believe that the effect of these interviews and the revelations that they contain could imperil the stability of that and we were able to convince the American government of that and we hope that will impact on the fate of these interviews. HM: That suggests that what Dolours Price had to say was incredibly damning to some parties. EM: Yes, yes she did. But not the only one. But the important interviews are the interviews that Dolours Price gave – that’s for sure. She did not give them, incidentally, to Anthony McIntyre who was the main researcher and I am again not at liberty to discuss the full circumstances of the other interviews but sufficing to say that what she has to say is absolute dynamite. HM: One thing that did come out was she claimed that Gerry Adams was an IRA member and that he headed a unit that kidnapped and killed. Gerry Adams as we know has denied that. How would the release of these transcripts to the Northern Ireland police affect Gerry Adams’ position? EM: That’s what I’m talking about in relation to the stability of the power-sharing government. You know this government, this peace agreement, the Good Friday Agreement exists only because the IRA, under the leadership of Adams, made huge ideological compromises to the extent that there were people who left their organisation in disgust and anger at what they regarded as a sell-out. If we end up in a situation where the one person who was able to sell this compromise is, a few years after abandoning their armed struggle, abandoning their campaign to get the British out of Ireland, making huge ideological and political compromises, is hauled up in court by the same government to whom he gave those compromises, i.e the British government, ask yourself a number of questions: Could his party remain in government in those circumstances? I doubt it very much. Will the British government come under immense pressure from hardline Loyalists and Unionists, people that Adams’ party are sharing with power with in Belfast, to prosecute him? Of course they will. Just look at today’s headlines in The Irish Times: the fragility of the power-sharing government is there for all to see. You had two very senior ministers in the Unionist part of this power- sharing government holding a press conference today admitting that their relations with their partners in government, Sinn Féin, were at the lowest since this thing started, that there were very deep strains in the coalition government, in the power-sharing government. All these things are in the mix there and it’s a very delicate, very sensitive and very dangerous and very volatile situation into which to be injecting these interviews. EM: No. You only think you know them. You’re quite right, her allegations about Gerry Adams being involved in the IRA, Gerry Adams being her commander, Gerry Adams ordering them to take Jean McConville across the border to “disappear” her are all well known. What is not well-known is what hasn’t come out yet. And what hasn’t come out yet, and I’ve been trying to tell you this, is dynamite and remains to be seen. Hopefully this stuff will never come out. But I can assure you that when this other material comes out it’s going to have just the most dramatic and traumatic effect on politics in Northern Ireland. HM: Ed Moloney, thank you very much for speaking with us. On Monday the U.S. Supreme Court rejected an appeal to keep secret interviews with former Irish Republican Army members from being turned over to police authorities in Northern Ireland. The court’s move leaves in place a lower court ruling ordering Boston College to give the Justice Department portions of interviews recorded with convicted IRA car bomber Dolours Price. Price, 61, who died in January, was interviewed with other former IRA members between 2001 and 2006 as part of the Belfast Project, a Boston College oral history study that was created to be a resource for journalists, scholars and historians studying The Troubles. But now federal officials want to forward the secret recordings to the Police Service of Northern Ireland (PSNI), who are investigating the IRA’s 1972 killing of Belfast widow Jean McConville. Researchers Ed Moloney and Anthony McIntyre, who had assured their subjects that their interviews would remain secret until after their deaths, are now arguing that the participants’ lives could be endangered if their identities are publicly revealed because they could potentially be branded as informers. Attorney Eamonn Doran is representing Moloney and McIntyre, the director and lead researcher respectively of the Belfast Project, in their challenge of the decision by U.S. authorities to subpoena the records. “I was brought on board when Ed and Anthony decided Boston College’s defense against the two subpoenas issued by the Attorney General Eric Holder wasn’t robust enough. They decided to make their own representations,” Dornan told the Irish Voice. Monday’s Supreme Court refusal to hear Moloney and McIntyre’s appeal has potentially disastrous consequences which has lead to Irish American groups sounding the alarm, Dornan said. “Numerous warnings have been given to the Department of Justice and the State Department by the AOH, the Brehon Law Society and the Irish American Unity Conference. Each is seriously concerned that the release of these materials, particularly at this time, may have a detrimental effect on the peace process,” Dornan said. Last year a U.S. appeals court in Boston found that Moloney and McIntyre had no right to interfere with the police request under the terms of the Mutual Legal Assistance Treaty (MLAT) between the U.S. and the U.K. that requires the two to aid each other’s criminal investigations. The appeals court insisted that criminal investigations must take precedence over academic study. But Moore calls Monday’s ruling a major setback, not a defeat. “There is a coalition between the AOH, the Brehon Law Society and the Irish American Unity Conference. We are all pledged to continue the fight. We do believe we have the support of Secretary of State John Kerry and influential members of Congress,” Moore said. Dornan sees a practical solution to the crisis, if all parties have the wisdom to reach for it. “It’s still within the remit of the Department of Justice and the State Department to stop the transfer of these materials. The question is now in the political court,” he said. Dolours Price was, to put it mildly, a controversial figure. According to the New York Times, in her time as a member of the Irish Republican Army, she participated in the 1973 London car-bombings, helped carry out kidnappings and executions of suspected informants, and spoke out against the peace accord reached in the 1990s. It was one of her final acts, however, that brought controversy to the legal system of the United States. 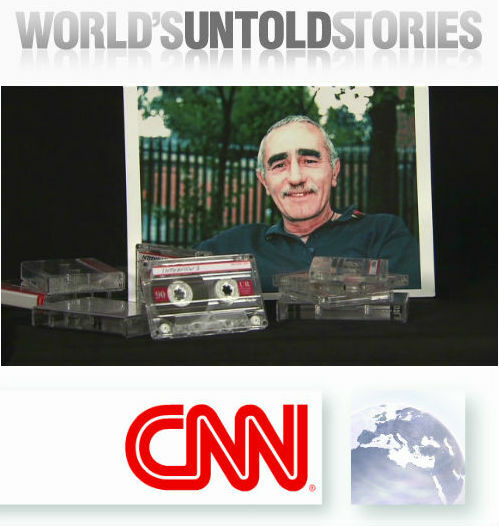 Between 2001 and 2006, Price and a fellow IRA member gave a series of interviews to oral historians at Boston College, with one small condition: the tapes could not be released in their lifetimes. Nonetheless, the British subpoenaed the tapes, citing a treaty between the United States and the United Kingdom that requires the countries to share information that would aid criminal inquiries. The District Court ordered B.C. to turn over the tapes. The First Circuit initially granted a stay, but later reversed course and ordered the tapes to be turned over, citing the landmark Branzburg v. Hayes decision (holding the reporters may not use the First Amendment as a defense against testifying before a grand jury). Supreme Court Justice Steven Breyer then stepped in and granted another stay late last year. However, the victory was short lived, as SCOTUS denied certiorari earlier this week, reports Jurist. One wonders if the reason for the denied cert was the passing of Ms. Price in January, which makes the case nearly moot (the other interviewee, Brendan Hughes, passed in 2008). Despite the passing of Price and Hughes, there release of the tapes is still controversial. Two researchers who worked on the project, and who were the petitioners to the Supreme Court, argue that the release of the tapes could upset the fragile peace in Northern Ireland and place their lives in danger. Their press release from earlier this week expressed disappointment at the Supreme Court’s decision, but still sent a message of hope. Senator Robert Menendez has urged Secretary of State John Kerry to use diplomatic channels to express the concerns that release of the tapes could “re-open fresh wounds and threaten the success of the Good Friday Accords”. While the legal battle may have come to a close, the political pressure to suppress the tapes could be building. Editor’s Note: This story is part of an ongoing series about the subpoenas of the Belfast Project. On Monday, Apr. 15, the United States Supreme Court denied the appeal made by Belfast Project Director Ed Moloney and Belfast Project researcher and former IRA member Anthony McIntyre in an effort to prevent the recordings of interviews with former IRA member Dolours Price from being handed over to the Police Services of Northern Ireland. The PSNI will now be granted access to Price’s recordings. Price, who died in January at age 61, revealed in a 2010 interview with The Irish News that the interviews she gave for the Belfast Project contained information about the 1972 murder of Jean McConville, an Irish widow and mother of 10. 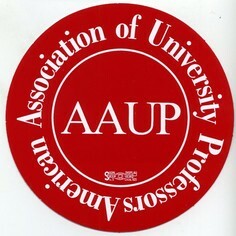 In January, following Price’s death, the University filed to close the case pertaining to the Price tapes. A separate appeal by BC, related to seven other tapes that Judge William G. Young reviewed and found to be related to the Jean McConville murder, remains in process. PSNI detectives are preparing to examine the tape recordings of an IRA bomber following the decision of a US court on Monday. The conversations with Dolours Price were recorded as part of Boston College’s oral history Belfast Project. Price, who was 61, died in January. Project director Ed Moloney and former IRA member Anthony McIntyre conducted the interviews between 2001 and 2006. Last year, they challenged a decision by US authorities to facilitate the release of the Price tapes to the PSNI. In the latest development, the US Supreme Court has declined to hear an appeal against the lower court’s decision. DUP MP Jeffrey Donaldson welcomed the decision. He said: “These could well contain vital information relating to despicable crimes including the abduction and murder of Jean McConville. NY, NY & Denver, CO On Monday the Certiorari appeal to review the Boston College subpoena case brought by Belfast Project founders Ed Moloney and Anthony McIntyre was denied. This litigation has highlighted significant issues of constitutional importance related to the conduct of academic inquiry and journalistic freedom. Important as these issues are there are underlying political issues raised by Britain’s misuse of the U. S.-U. K. Mutual Legal Assistance Treaty (MLAT).